Stargazers are getting ready for a huge, eerie Hunter’s Moon coming very close to the Earth – but what is it and how did it get its name? Familiar but mysterious, seemingly right above us and yet so far that only a few people have ever been there, the moon is endlessly fascinating. It appears in our skies in a variety of guises. Just recently we had a rare Black Moon and before that was a Harvest Moon that happened at the same time as a penumbral eclipse. Next up on the cosmic calendar is a Hunter’s Moon, which also happens to be a supermoon. So what exactly is it? Here’s everything you need to know. Whereas the Harvest Moon is the full moon nearest the autumn equinox, the Hunter’s Moon is the next full moon after the Harvest Moon. In the northern hemisphere in 2016, the Hunter’s Moon is on the night of Sunday, October 16. Both moons are close to the equinox and appear in the sky earlier than usual. You can usually see the moon rising in the sky around the same time as sunset. And because it’s near to sunset, it can take on a red or orange colour. The orange hue is because when you stare at the horizon to watch the sunset and low moon, you are looking through a thicker layer of atmosphere than if you are gazing straight up. The atmosphere scatters blue light but allows red light through to our eyes. WHY IS IT CALLED A HUNTER’S MOON? Whereas the glow of the Harvest Moon helped farmers to gather crops as the daylight hours got shorter, the Hunter’s Moon gave extra light to hunting parties looking for deer, boar or other animals destined for the dinner table. Wild boar and hare are nocturnal, while deer and rabbits are active at twilight. In olden times, hunters could spot these creatures more easily if there was a bright full moon above. 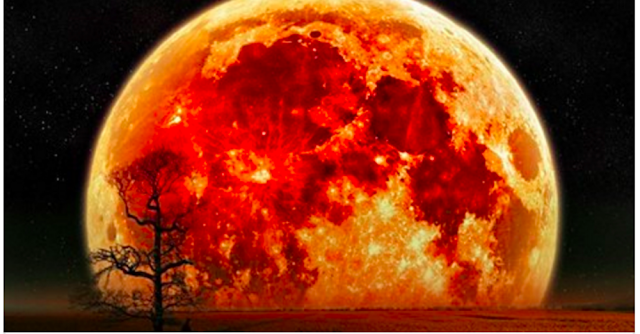 OKAY, SO WHY IS IT A SUPERMOON AS WELL? The moon doesn’t go round the earth in a neat circular fashion, its path actually takes an oval shape. This elliptical orbit means it’s sometimes much closer to us. 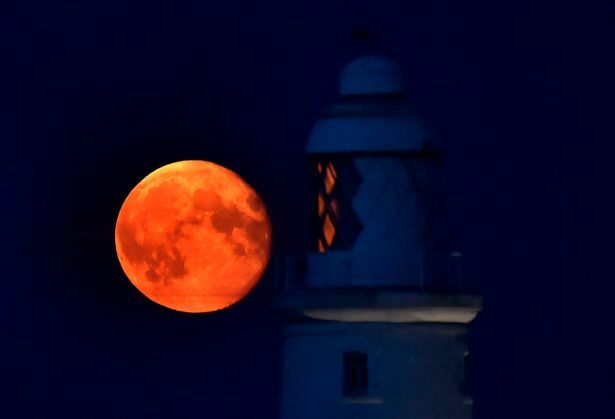 When this coincides with a full moon, it appears up to 14 per cent bigger and much brighter than usual. We call this a supermoon. When it’s closer, it also has a stronger effect on the earth’s tides but unless you’re in a coastal location, there’s no need to take this into consideration. Birmingham is so far from the sea that we needn’t worry about this at all. On October 16, the moon will be 357,859km (222,363 miles) from us. This is about 50,000km (30,000 miles) NEARER than when it’s at its furthest point. 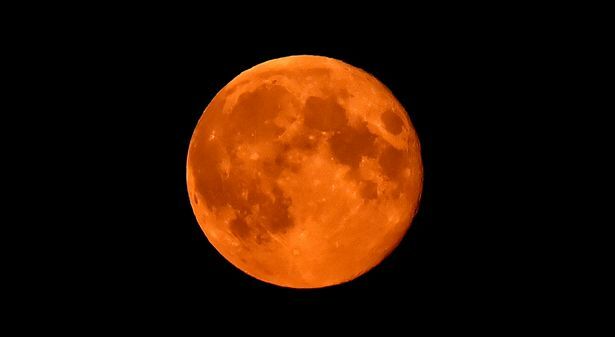 Here in the northern hemisphere, you can start looking for the moon rising around sunset on Saturday, October 15 – when it may well take on an orange colour. It will be at its highest point in the middle of the night – more precisely, at 12.23am (British Summer Time) on Sunday, October 16 and again at 1.23am (British Summer Time) on Monday, October 17. It will look especially bright and will appear larger than usual. To take a good photograph of the moon, use a proper camera on a tripod with remote shutter release. Use the Looney 11 rule to get correct exposures. Smartphone cameras don’t usually do a good job for moon or other night-time pictures and you will more than likely end up with an image of a blurred white blob. We would love to see your pictures. Share them with us on Facebook!